I've been under the weather the past few days and running on fumes. My to-do list is about a mile long and is all I seem to dream of at night right now. But I've had several huge rays of sunshine recently, including two packages in the mail. So I thought I'd share. 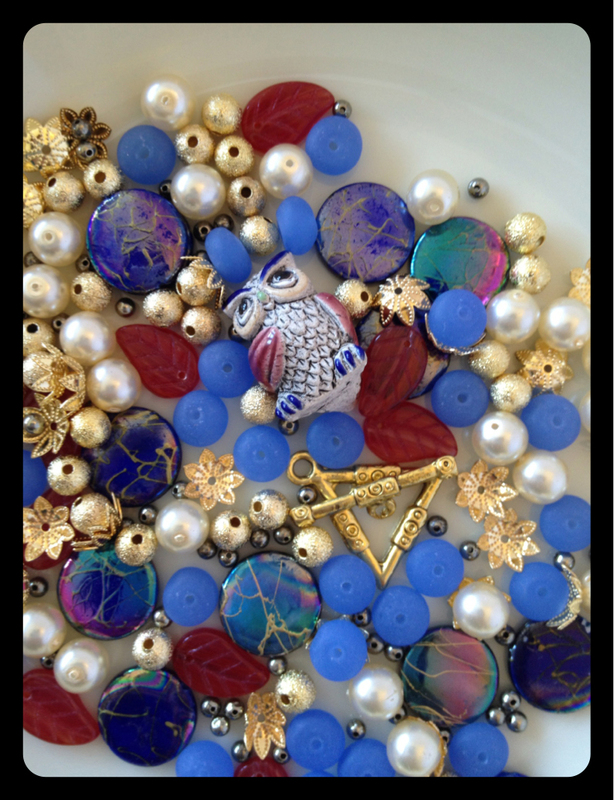 The Art Bead Love Tour package arrived on Friday. 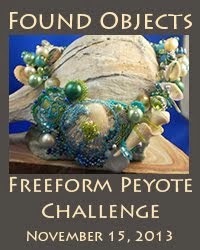 This chain is far longer than I had realized from pictures and there are so many lovely art beads. Every time I look, I see another lovely I hadn't noticed before. I'm simply oohing and aahhing over all the beads right now - will make some decisions of what I'm taking off and adding on by the end of the week. 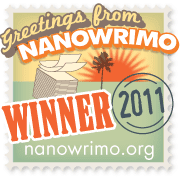 I'll post the drawing for it's next stop then, too. And then on Saturday I received a surprise package from Kalmbach Books. 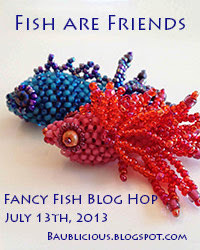 I'd forgotten that I'd signed up to participate in their Bead Soup Party to celebrate the upcoming release of Lori Anderson's book Bead Soup. To make it more fun, the Bead Soup mix is from Beauty and the Bead, a sort of local beading store from Bellingham up near the border. Isn't that owl fun? He sure makes me smile. Now just have to figure out where he belongs in time for the November 2nd reveal. 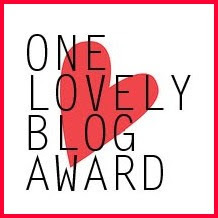 And today, I received an email from Karin Slaton of Backstory Beads saying she'd awarded my blog the One Lovely Blog Award. Thank you Karin! You truly did make my day. As you've probably guessed by this point, I'm skipping the design post this week - just haven't been able to finish it up to my satisfaction. But I'll be back with that next Monday. Promise. 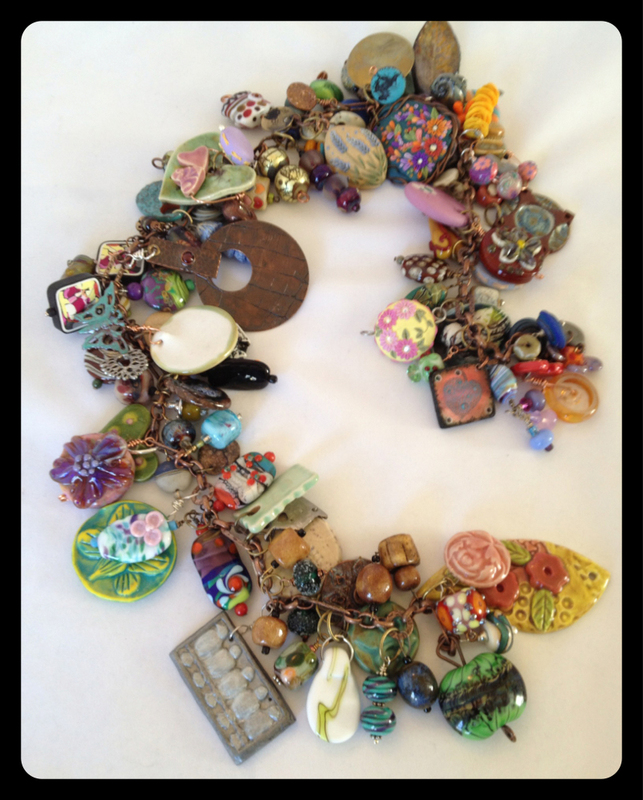 KJ - you can take up to 30 beads off the chain, provided that you replace each bead you take with another made-by-a-single-artist art bead of equal or greater quality. I hope you are feeling better soon, Karen! Are you constantly touching these gorgeous art beads?! How Beautiful! How to choose?! Don't you just love when those small packages brimming with beads arrive in the mail? You have some fun choices to make - hope you're feeling better soon! What fun! 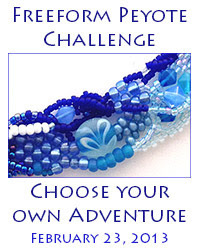 The Art Bead chain is fabulous and I can't wait to see what you choose. 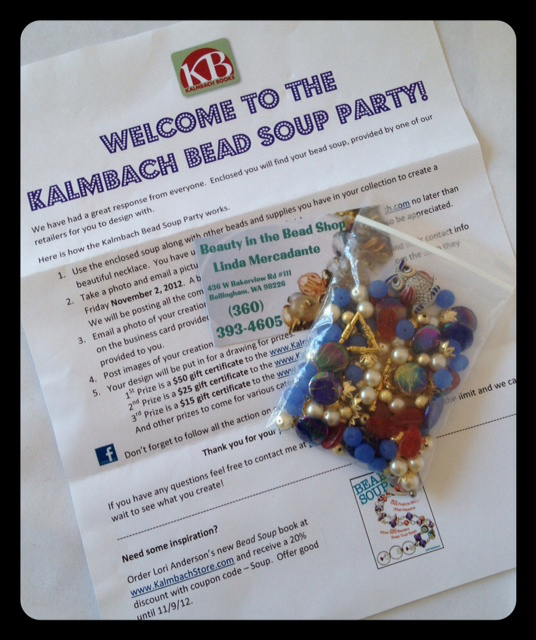 Your "bead soup" package is beautiful and I'm sure you'll come up with yet another stellar Karen Williams original design for them. 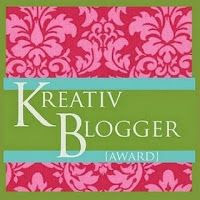 Congratulations on the Blog award and feel better soon! !